Welcome to St. John the Baptist Roman Catholic Parish! To contact the parish office, please click here. Daily readings - Canadian version or United States version. For the latest news of what's happening at our Parish, check out our bulletin posted weekly. 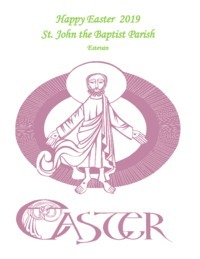 Parish Registration Form: print, complete, and return to St. John the Baptist Parish.